KAMPALA- Makerere University don Prof Mwambutsya Ndebesa has thrown his weight behind the agitators of the national dialogue, saying the country has many unresolved social, economic and political issues. President Museveni is expected officially launch the Uganda National Dialogue Process on Wednesday but there has been skepticism from several stakeholders whether it will have any impact. Recently, the Deputy Attorney General Mwesigwa Rukutana said there is no crisis in the country to warrant the dialogue. But Prof Ndebesa said the discussion is necessary. “Yes, we need a national dialogue in Uganda because there are very many unresolved questions. Uganda has been a country of questions since independence. A dialogue is different from other discussions that take place. We do not want to see whips in the national dialogue who are going to take sides. A national dialogue should be a give and take situation,” he said during the Wednesday morning discussion on NBS TV. He listed some of the unresolved issues like political contestations and the land wrangles. Mr Mike Kennedy Sebalu (NRM), a member of the East African parliament, also agreed with Prof Ndebesa and said that the country should adopt the culture of dialogue. “I do appreciate that dialogue is a good process, we do it every day at home and in the corporate world. Dialogue should not be out of a crisis, it should be a culture we adopt,” he said. However, Prof Ndebesa called for a level playing field in the dialogue process. “The President presiding over the opening ceremony of the National Dialogue and the Speaker of Parliament presiding over the closing ceremony means that there are people who are going to be dialogued instead of dialoguing,” he warned. The dialogue will be moderated by the Inter-Religious Council of Uganda and the Elders Forum. In October, the main Opposition parties listed seven demands that they said must be addressed by the conveners of the talks as a benchmark for their participation. They insisted the dialogue must be based on a clear agenda and guarantees of mutual respect for the outcomes of the talks. “Our country is in the grip of a grave national crisis. This situation has become highly toxic and explosive. This toxic atmosphere has now infused all sectors and all levels of our national life. There is a need for a serious, genuine and well-prepared national dialogue to address this crisis,” the statement reads in part. Already, the Democratic Party has vowed not to take part in any activities connected to the dialogue due to what they call a non-conducive environment. While addressing the press at Sheraton Hotel in Kampala last Tuesday, Norbert Mao, the party president, stressed that his party will not attend the launch of the dialogue despite their belief that it can be important if organized in a conducive environment. He said DP are the authors of dialogues in Uganda and strongly believe in them but the current one is organized for government benefit instead of national benefit. The Uganda National Dialogue Process will formally adopt the Uganda National Dialogue process framework paper, which sets out the agenda and modalities for the dialogue; thematic working groups will be set up will focus on the agreed dialogue agenda themes; and lastly, it will authorize the planned formal nation-wide citizens’ consultations to take place in all the sub-regions of the country. However, according to Mr. Mao, the way it has been prepared is not satisfactory due to what he calls continued oppression of opposition members by state agents, insecurity and failure of government to tackle unemployment issues among others. “We shall in the future reconsider our position but this time the Democratic Party is not attending. 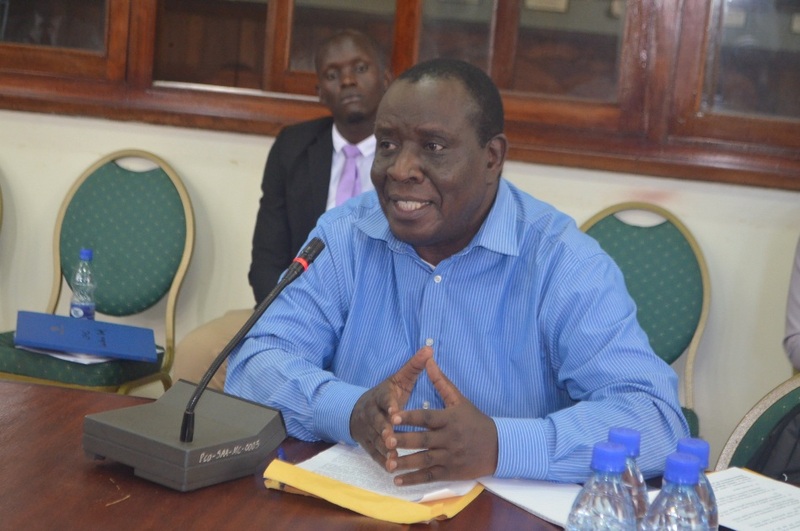 Continued threats by security agencies, despotic tendencies by president Museveni to achieve life presidency, increased insecurity make the environment not suitable for the dialogue to take place,” Mr. Mao added.